Secretary Zinke arrived in southeastern Utah on May 7th to assess Bears Ears and Grand Staircase-Escalante National Monuments. His visit is the result of President Trump’s April 26, 2017 Executive Order that directs the Department of Interior to review the Antiquities Act and select national monuments designated over the last 21 years. Bears Ears National Monument holds incredible significance to the climbing community. It is home to world-class climbing areas like Indian Creek and Valley of the Gods, and it is the first national monument proclamation that acknowledges the importance of rock climbing. Bears Ears was listed as a priority under Trump’s Executive Order, and an initial report is due by June 10, 2017. Zinke intends to review the process by which Bears Ears was designated a national monument, in order to determine if it complied with the law. If this review is comprehensive and transparent, Access Fund, American Alpine Club and Outdoor Alliance believe it will find that the monument, in its entirety, is justified. The previous administration spent years conducting a thorough assessment of the Bears Ears region that included a wide spectrum of stakeholders—including climbers—and this process resulted in a well-substantiated national monument boundary that protects threatened cultural resources and recreation areas. We are pleased that Secretary Zinke has agreed to meet with the Inter-tribal Coalition. 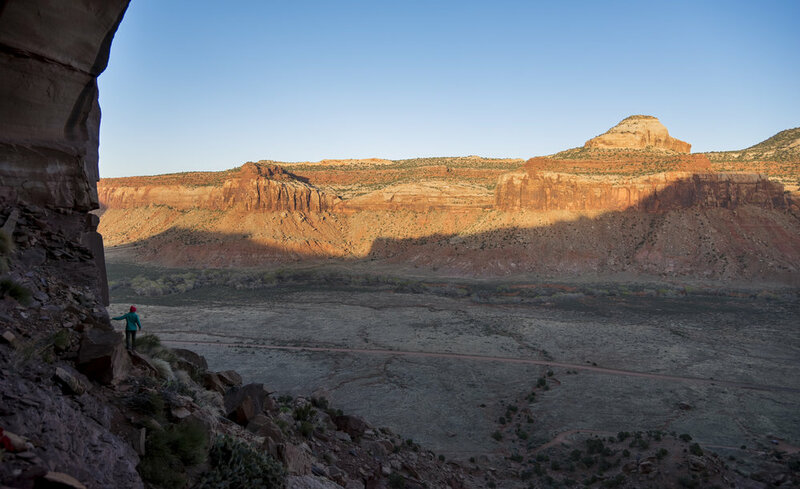 The coalition of Native American Tribes is an important stakeholder group that will stress the importance of protecting the entire Bears Ears region, as well as describe their role in the multi-year effort to protect the sensitive landscape. We encourage Secretary Zinke to eventually meet with all stakeholder groups, including the climbing community, to ensure a comprehensive review. Access Fund has reached out to Secretary Zinke to offer a private tour of Indian Creek in order to share the climbing community’s perspective on the region’s recreation resources. Climbers will also meet with his staff next week during Climb the Hill to discuss a range of public land issues including Bears Ears. Access Fund, American Alpine Club, and Outdoor Alliance will continue to interface with the Department of Interior throughout the national monument review process. The Department of Interior is only accepting comments on Bears Ears National Monument for 15 days after they publish their official notice shortly, and we will send an action alert to mobilize climbers. Other national monuments under review that contain climbing areas are San Gabriel Mountains and Organ Mountains-Desert Peaks National Monuments. We will keep the climbing community posted on the national monument review process, but in the meantime please send Secretary Zinke comments regarding the exceptional value of Bears Ears National Monument.